Some of you may already know, but Harper is in a Mother’s Day Out program here in town. He goes twice a week and if it were up to him, he’d be there every day. He loves it so much and has thrived all year because of his teachers and classmates. He actually cried the first day because he didn’t want to come home! He adores his friends at “school” and talks about his sweet teachers all the time. 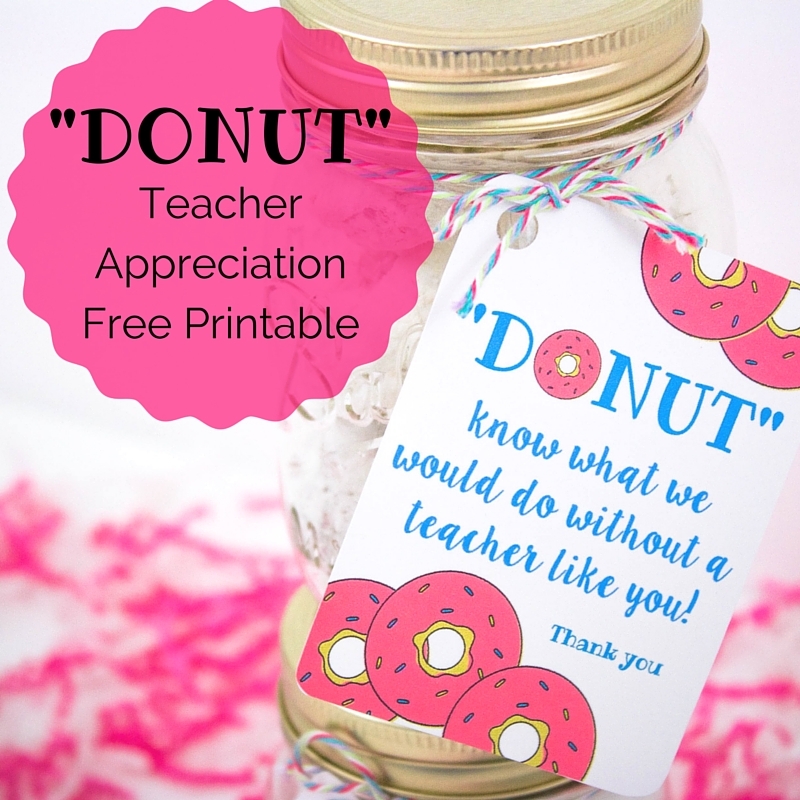 It’s teacher appreciation week and I wanted to make something fun for them. They take time away from their families and children to be with my child, so I wanted to give them something that would be a treat for their family. What better way than donuts?! This free printable is super cute and goes perfect on anything! 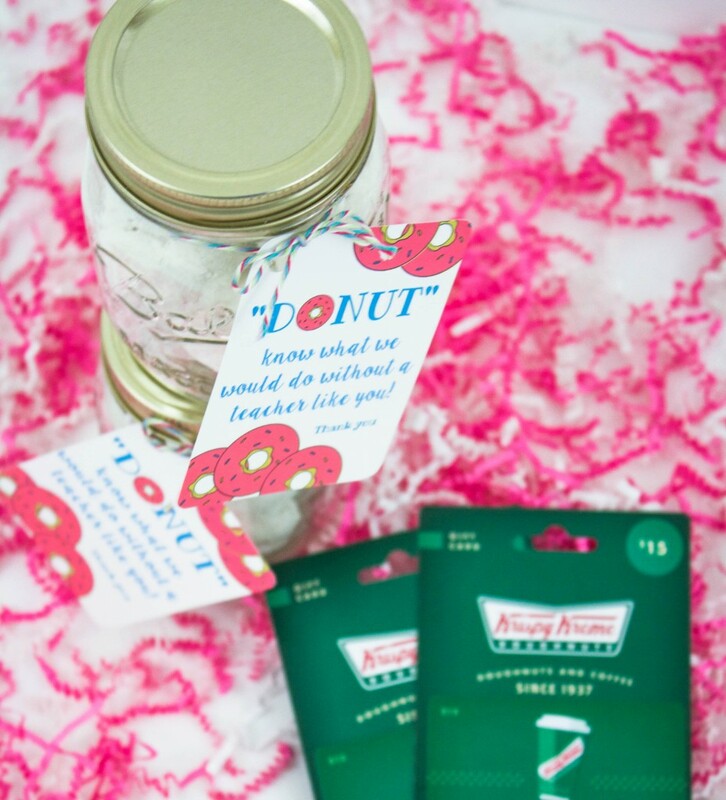 Harper helped me fill the mason jars with powdered donuts and then we bought them a Krispy Kreme gift card to go along with the donuts, printable and thank you note. Walking in today, he was so excited to give them the gift and proud to say he helped put it together. This is a fun interactive idea to do with your kiddos and it’s bright and colorful. It’s definitely been a hit around here! These turned out so cute! The teachers are going to love them! Too cute! 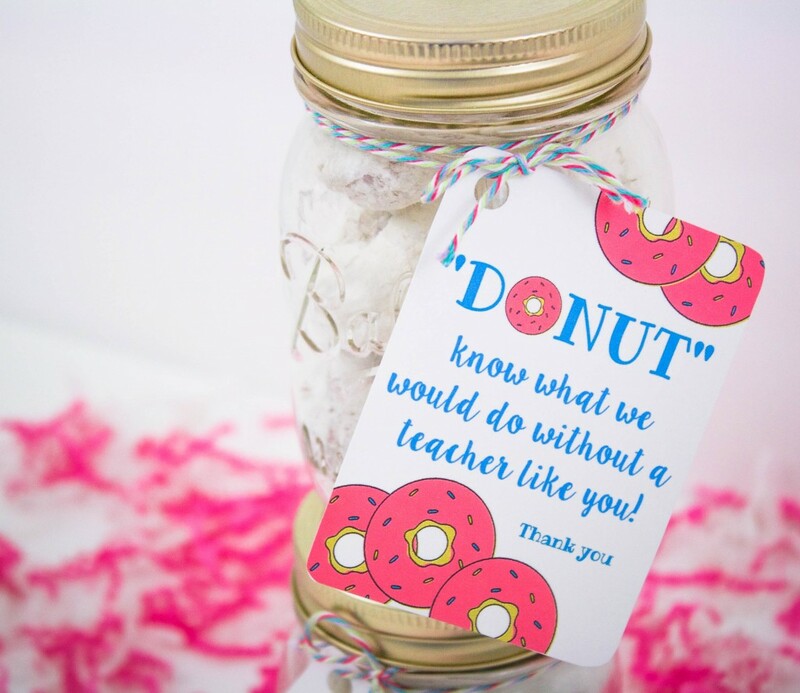 Love this adorable idea!! Thank you! :) That’s so sweet of you to share. Have a great weekend!